VANCOUVER -- A former Summerland, B.C., Mountie has lost the appeal of his second-degree murder conviction for the slaying of his common-law wife. A B.C. 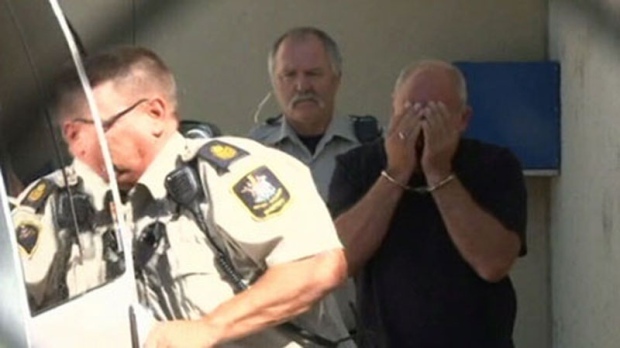 Court of Appeal panel unanimously rejected overturning the conviction for 59-year-old Keith Wiens. He was fighting both the conviction and a 13-year minimum sentence before parole eligibility for the August 2011 shooting of 55-year-old Lynn Kalmring in the couple's Penticton home. At the time of his July 2013 conviction, the jury had recommended Wiens serve a minimum 20-years before parole eligibility, while the Crown was seeking 15-years. In a decision posted online Tuesday, the court rejected the arguments from Wiens that certain evidence was improperly admitted, including details of Kalmring's peaceful disposition. During his trial, Wiens said he shot in self-defence when Kalmring lunged at him with a knife, but the Crown presented evidence that the knife was planted after she was shot and the jury rejected the claim of self defence.